Basic endpoint security solutions include antivirus, anti-malware and anti-spyware capabilities. According to industry analysts, businesses need more than this basic level of security to protect against today’s advanced threats and to prevent data loss. Features like malicious traffic detection, device control, application control, web productivity filtering and data loss prevention can help. 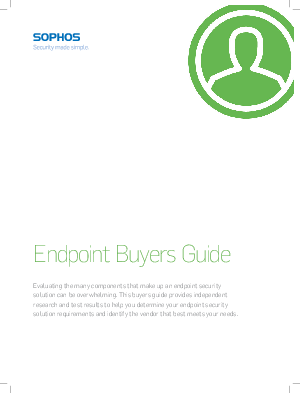 Download this guide to discover the top vendors according to market share and industry analysis.